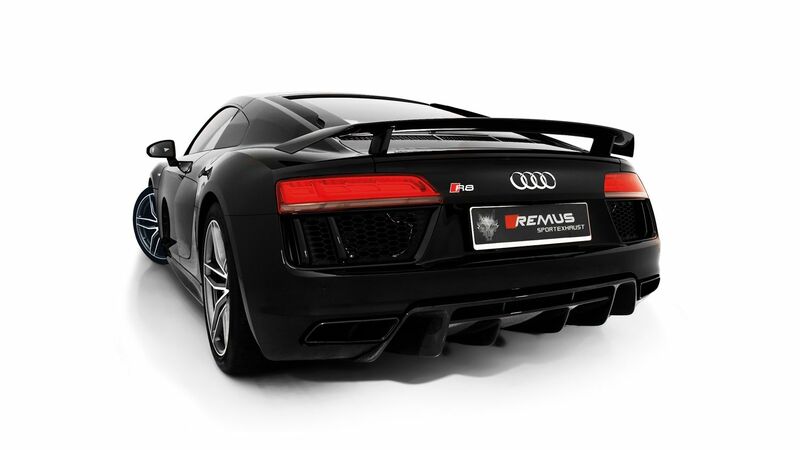 Remus is now announcing their new R8 Exhaust to the US market. Significantly increase the torque and power of your A3, while at the same time giving yourself a grin on your face hearing the sound of your exhaust. Give your Audi R8 a sportier exhaust note that will be sure to turn some heads. With a variety of exhaust tips to choose from you'll be sure to find the perfect match to fit your style. The performance gains that you'll aquire from this exhaust system will be sure to keep you ahead of the competition. Are you looking to take your car to the next level? An exhaust system is a great modification that will do just that by giving your car more aggressive exhaust tips, a deeper and meaner sound, and increase horsepower by improving your car's air intake system! Well Remus just announced their R8 Exhaust to the US market. 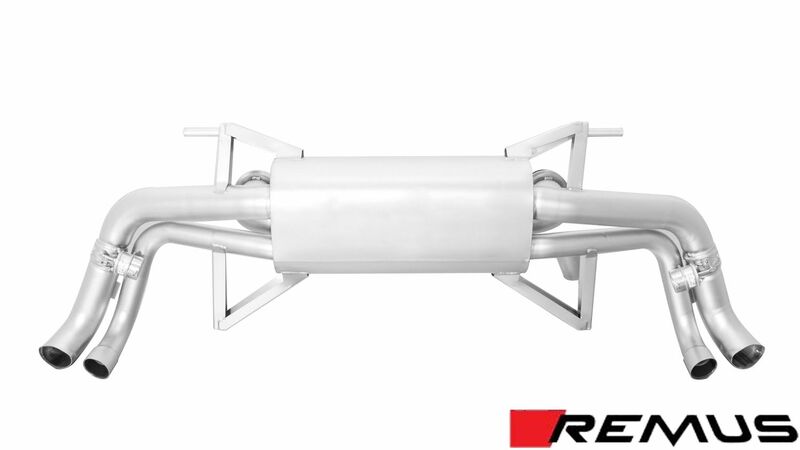 The fully stainless steel Remus Cat-Back Race exhaust system is equipped with a flow-optimized inner life which, when combined with a extended flow can perfect performance and increase a bring out the REMUS sound familiar. The reduced exhaust pressure ensures a noticeably significant increase in torque and horsepower. 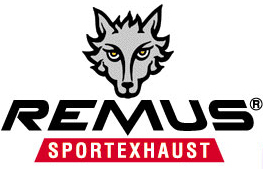 All Remus Exhaust systems are tested in an industry exclusive sound chamber. This allows REMUS GmbH to find tune every single exhaust produced in order to meet the expectations of demanding customers. The decibel level is very close to the stock/OEM exhaust system but the sound characteristics have a deeper and refined tone absent in the factory system. World's largest manufacturer of aftermarket automobile sport exhaust; I.S.O. 9001 and T.U.V. approved O.E.M. supplier to BMW, Mercedes, AMG, Porsche, Ducati, allowing them access to shared CAD files for fully automated quick and accurate fitment. As well, back pressure calculations and sound testing in a highly sophisticated audio dyno room. Our dyno results as an O.E.M. supplier must be accurate. Dyno results are 'bolt on' only, with no complimentary modifications. Robotic MIG and/or TIG welds that are thicker and stronger. Since moving into automated robotic welding, weld failures have become a thing of the past. An appealing appearance that doesn't scream to the authorities, "Hey look at me, I'm a Race System," but indeed, performs like one. Full 303 stainless steel construction in bodies and tubing, 416 stainless steel tips; every unit specific with regards to back pressure, sound requirements and fitment. Deep throaty Remus sound in all systems allowing the power and efficiency to be released. Horsepower increase equals efficiency increase, so fuel mileage is enhanced as well.